Following their six-time Academy Award-winning La La Land, director Damien Chazelle and star Ryan Gosling have re-teamed for Universal Pictures' First Man (review), the riveting story behind the first manned mission to the moon. ScreenAnarchy is proud to present readers with the opportunity to win one of three annotated copies of Academy Award-winning writer Josh Singer's powerful screenplay that explores the triumphs and the costs of one of the most dangerous missions in history. 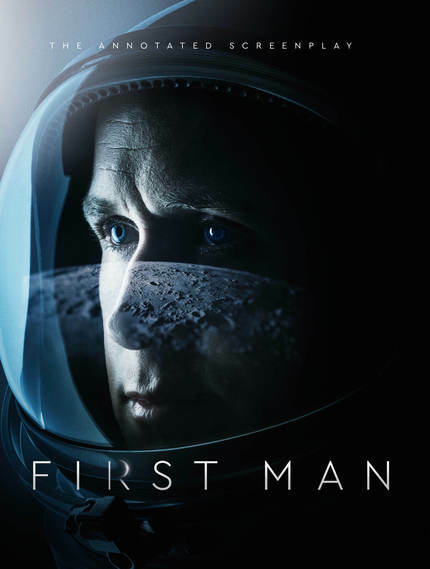 Published by Titan Books, First Man: The Annotated Screenplay is the official companion to the movie, and features a wealth of stunning photography, alongside the full shooting script. A visceral and intimate account told from Neil Armstrong's perspective, First Man is based on the book by James R. Hansen. To enter, simply name your favourite space exploration movie. When you have your answer e-mail us here and you will be entered into the random draw at the end of the week. You must be a resident of Canada, US or UK to enter. The contest will run until Tuesday, October 16, 2018.